Fragile items are difficult to send without the right envelope. 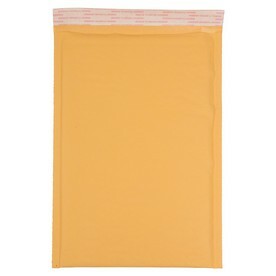 Yet taking one look at 8 1/2 x 13 Envelopes, all of your delicate items will be as valuable as when you bought them. All with a padded bubble inside, you won't ever have to worry about your content breaking. The big size, also known as size 3, is perfect for storing more or bigger items too! Store or send your electronics, DVD's, jewelry, or delicate photographs in here without having to break a sweat. 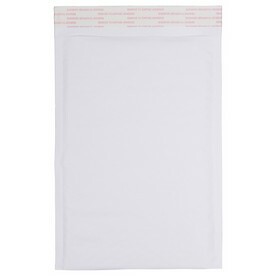 8.5 x 13 Padded Envelopes are the perfect solution to bringing safety and protection to your items. We also have different colors to choose from too! Each of our envelopes comes with a straight flap and a self-adhesive strip. This way your envelope will be modern all the while being able to keep your documents and items tightly secure throughout its travels. Both of our choices also have 100 percent recycled content. So you can stay environmentally friendly and keep your items safe at the same time. With our padded envelopes, your fragile items are sure to stay protected.